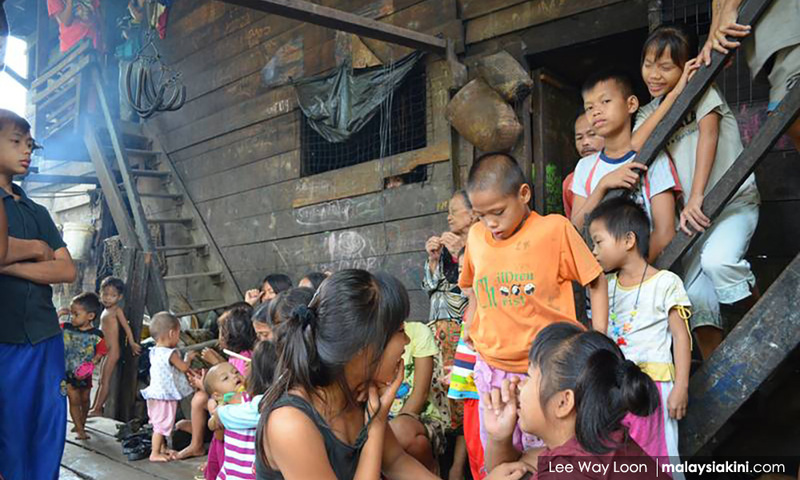 ← Dr M, why not assign Anwar to ‘clean up’ Sarawak? Abang Jo & Co using GPS to save their own skin? 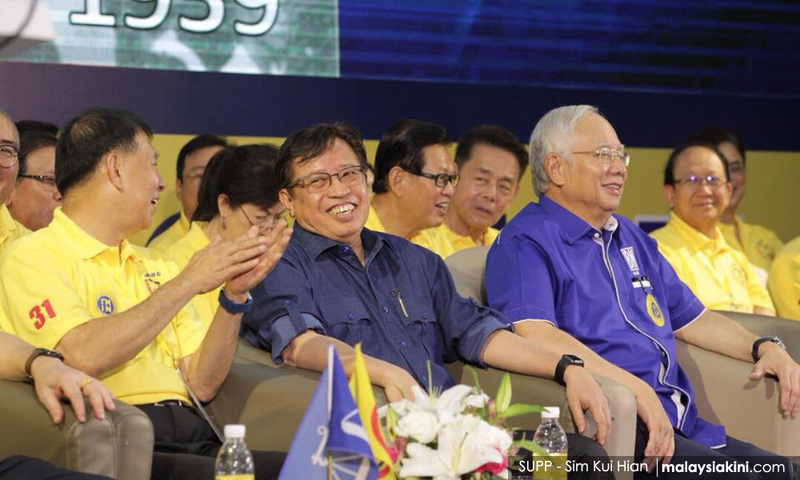 COMMENT | As expected, the four BN component parties in Sarawak had left a sinking ship. Why? Let me be blunt – it was to save their own skin. BN is not saleable anymore, as some state leaders had declared after the May 9 elections. These same leaders were the ones echoing their then-big boss, Najib Abdul Razak, just a week before the polls, trumpeting that BN was the only choice for the people. A month later, they decided to dissolve the party which was supposed to be the only choice for Sarawakians. Unbelievable, but true. Well, what else is surprising about politics, or politicians? Those who have it so good and for so long in politics will find it difficult to get out of it. And while they are in it, they will want to be in power. Being in the opposition is something they cannot possibly handle. 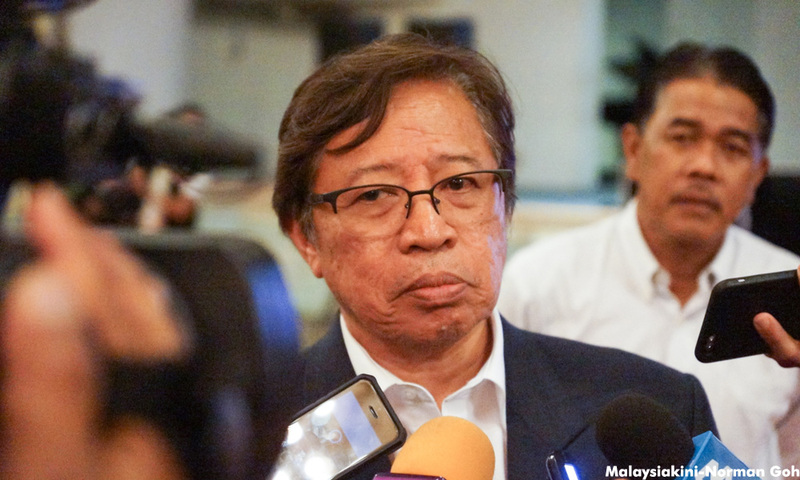 I would liken the statement by Sarawak Chief Minister Abang Johari Openg yesterday on why the four-party coalition is leaving the BN as a mere soundbite, pleasing only to the ears of party leaders and that of their members and supporters. Certainly not to the majority of Sarawakians. One must have good reasons to turn into traitors. But understandably, it is difficult to explain a treacherous plan in a politically correct manner, no matter how hard one tries. So in that sense, the declaration of the new coalition, Gabungan Parti Sarawak (GPS), was far from convincing. In fact, it was a complete let-down. In his statement, Abang Johari (centre, photo below) talked about facing the challenges in line with the changing aspirations, needs and demands of a cross-section of the Sarawak populace. “Therefore, it is incumbent upon us Sarawakians to continue to nurture and protect our values, living in peace, harmony and comfort among one another. “This aspect is indeed not only our pride, but also our joy in our lives as Sarawakians, hence the decision (to leave BN) was made in the interest of the people and the state above all else,” he said. Allow me to respond to my chief minister on some of his points. I think that “the decision to leave BN was made in the interest of the people and that state above all else” is nothing but a white lie. 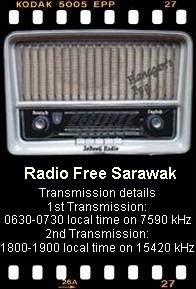 As for “living in comfort among one another and with joy in our lives as Sarawakians,” that is quite impossible for many among our rural populace. How do you expect me to feel comfortable when I, my wife and eight children live in a wooden shack, while my YB, his family and his pets reside in a palatial mansion 100 metres from where I live? How do you expect me to be comfortable when my wife and daughters have to bathe on the river banks daily? And my sons having to leave school after Form 1 to work as labourers to help upkeep the family? Abang Jo, our fellow Sarawakians in Lubok Antu, Saratok, Dalat and Igan and other localities are not living in “the comfort among one another” that you were talking about. As for “our joy in our lives as Sarawakians”, Abang Jo, I have to tell you that there will be no joy in the lives of many Sarawakians as long as it is business as usual in your administration. Let me share with you what Bandar Kuching MP Kelvin Yii said on the move. “The decision to leave BN and form Gabungan Parti Sarawak (GPS) is akin to a superficial change of facade or a change of new clothes, but still with the same inner rot. “The rejection of BN by the people in the previous election is not due to the ‘name’, but due to the corrupt acts and abuse of power by the people inside, and our local component parties consist of the very same people that were accomplice to the alleged corruption and power abuse that was committed by the then BN government. “Fact is, it is the people in these local parties that are directly involved in the theft of our state’s riches and revenues, including the stealing of our land and timber resources. As for wishing to work with Pakatan Harapan at the federal level, I’m not so sure how they are going to put such a plan into action. I suppose we just have to trust Prime Minister Dr Mahathir Mohamad on this one. But I doubt Harapan leaders in Sarawak are prepared to work with the same group of ex-BN politicians who have for so long been embroiled in less than desirable activities, which have caused untold sufferings and misery to so many Sarawakians. I would not too, because to do so would be betraying Sarawakians who have stood by the Barisan Alternatif, Pakatan Rakyat and now Pakatan Harapan for decades. The basis of their staunch support was to get rid of the BN government. BN or GPS, what’s the difference?